The Joomla Project is pleased to announce our latest undertaking to promote sites using Joomla—our new Joomla Community Showcase. The showcase is a hub for community users to share sites they've discovered or built themselves. Launching today with just over 100 sites, the showcase has a wide range of categories—arts, education, business, sports, non-profits and more. It's designed in the same familiar layout as the Joomla Extensions Directory so users will be able to quickly find what they're looking for. It's easy to submit a site for inclusion in the showcase. You'll need to register first on the showcase site and be sure to read the Guidelines for Submission before submitting. Make sure the site isn't already in the showcase by doing a search first. Not all sites will be accepted into the showcase so make sure your site meets the guidelines. Ideally, it's a site that shows off the power and extensibility of Joomla. We also expect you to add site thumbnails (not logos) to your submission. If you only have one, that's fine. But if you have more, make sure they show off a variety of layouts—otherwise all your thumbnails will look identical. Remember, it takes time to verify each site submission we receive so sites will not be automatically added immediately. Careful not to add too many of your own sites at once or you might be considered a spammer. We recommend you submit no more than 10 sites each month. Each month, we will highlight a Web site that demonstrates exemplary quality, flexibility, and design. If you want your site to be considered, make sure you fill out all the site information accurately and thoroughly. While site descriptions are a general overview of the site and/or company, case studies are a way to delve deeper into the mechanics of the site, how it was built, what problems it solved, and how it fit into the overall strategy of the company. It's a way to give other Joomla users insight into the process and what extensions were used. We encourage site creators to write detailed case studies. If your site has a good case study, you'll exponentially increase your chances of being awarded the Site of the Month. The showcase also has a built-in tagging system to more clearly identify site traits. Add as many tags as you want (up to 80 characters) but don't repeat tags or add redundant information. We feel that this site will grow rapidly so have started with a small number of basic site categories wth the expectation that they will become more refined and extensive over time, adpating to the needs of the community. So get started submitting Joomla sites now! 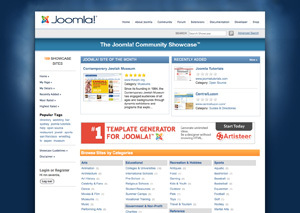 The Joomla Project announces the immediate availability of Joomla 1.5.10 [Wohmamni]. 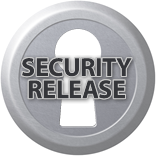 This is a security release and users are strongly encouraged to upgrade immediately. This release contains 66 bug fixes, one low-level security fix, and one moderate-level security fix. It has been 11 weeks since Joomla 1.5.9 was released on January 10, 2009. The Development Working Group's goal is to continue to provide regular, frequent updates to the Joomla community. Check the Joomla 1.5.10 Post-Release Notes to see if there are important items and helpful hints discovered after the release. No legacy issues fixed for this release. Active members of the Joomla Bug Squad during this last release cycle include: Ian MacLennan and Mark Dexter co-coordinators; Airton Torres, Akarawuth Tamrareang, Arno Zijlstra, Amy Stephen, Andrew Eddie, Anthony Ferrara, Ashwin Date, Dan Walker, Dennis Hermacki, Edvard Ananyan, Elin Waring, Ercan Ozkaya, Gergő Erdősi, Hannes Papenberg, Kevin Devine, Kevin Sookocheff, Klas Berlič, Marieke van der Tuin, Marijke Stuivenberg, Mati Kochen, Niels Braczek, Pete Nurse, Rosario Buste, Samuel Moffatt, Shantanu Bala, and Wilco Jansen. A warm welcome to the newest members of the Joomla Bug Squad: Amit Kumar Singh, Andrew Rose, Ashwin Date, Edvard Ananyan, Joe Palmer, Kashyap Puranik, Niels Braczek, Parth Lawate, Pete Nurse, Philip Walton, Richard Malinowski, and Srinivas Chilukuri. The 2009 edition of the Google Summer of Code projects has been announced. We appreciate Google's continued support of free software and for funding numerous open source projects, and will apply certainly for this years edition. It will be the fifth edition of this open source event, and when accepted we will have been part equal times...we are really looking forward to welcome another group of contributors with fresh ideas. Joomla! is an international award-winning open source content management system (CMS) deployed worldwide with more than 8 million downloads in the last 2 years. If you participate with Joomla!, your work will have a positive impact on people all around the world. If you enjoy developing applications and you want to work with experienced developers using emerging technologies, consider to join in to the Google Summer Of Code for Joomla! Joomla! version 1.5, released last year, provides developers with an object-oriented, pattern based API that follows best practices and is organized into well-structured and logical framework packages. It uses an MVC design pattern for components, which gives developers a great platform for rapid application development and prototyping. Developers can hook into nearly any part of the application stack using Joomla! 's newly reworked events system, implemented according to the observer design pattern. Judging from the community participation since the 1.5 release, developers have been pleased with this new technology foundation for Joomla! They have written over 4,500 extensions for Joomla!, which are available on the Joomla! Extensions Directory (JED). Work on Joomla! version 1.6 is well underway and expected to be available later in 2009. This major upgrade contains many important new features. SoC participants will have the opportunity to help with this important Joomla! version. Work on Joomla! 1.6 could be just one of the goals, we really would like to see other areas of innovation getting worked on also. Today marks the one-year anniversary of the release of Joomla 1.5, the first major release of the popular content management system. In January 2008, the first stable release was downloaded almost 200,000 times. Since then, the total number has exploded to over 8 million downloads. Joomla is seeing the highest rate of adoption ever. That same month, the Joomla Extensions Directory contained 2,600 extensions written for Joomla 1.0.x, a small percentage of which worked with Joomla 1.5. Today, that number is approaching 5,000 and most are Joomla 1.5 native. 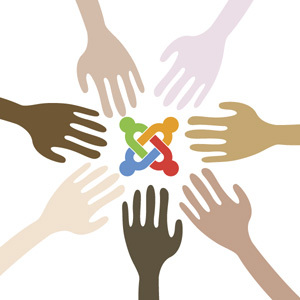 The JED is a a powerful barometer of the commitment of the community to the Joomla Project and platform. And that community continues to grow exponentially. The Joomla Discussion Forums contain over 1.5 million posts from almost 250,000 users. The spirit of open source, collaboration, and users helping users has never been stronger. The Joomla Web sites have undergone a dramatic facelift and restructuring to better serve our users of all levels and the positive feedback has been overwhelming. Last January, there were approximately 10 million unique visitors to the family of Joomla sites and that number has doubled to 20 million in the last year. The Joomla Project teams have released nine versions of Joomla 1.5 in the last year, improving security, increasing usability, fixing bugs, and adding new features. The Joomla Code forge provides a solid development resource for almost 1,500 open source projects and over 138,000 developers. Around 20 Joomla Days (and countless other events and expos) took place in 2008, allowing people all over the world to not only learn more about Joomla, but to connect an untold number of developers, users, and designers in one of the most unique open source projects in the history of the Internet. Clearly, the state of Joomla is strong and on the upswing. The retirement of the Joomla 1.0.x series in 2009 reallocates resources to the future of Joomla and in 2008, the white paper process allowed the community to submit suggestions and prioritize focus on features for the next major version of Joomla. With that process complete and all the Joomla teams working tirelessly toward this goal, the delivery of Joomla 1.6 in 2009 promises to push the envelope even further. The family of Joomla Web sites provide an energizing hub for users and developers worldwide and work to improve their effectiveness is an ongoing effort. New ways to excite users about the power of Joomla and new ways to engage developers with the sophistication of the Joomla framework are in progress. Joomla events are wasting no time in amassing users in 2009. Already, there are many scheduled events. Of note are the Melbourne Joomla Day '09, Joomla Day UK, and Joomla Day Las Vegas, where members of the Joomla team will be on hand to give first-hand help and information. The promise of Joomla's future is limitless. The foundations of freedom, innovation, and creativity help lead the charge in developing one of the most empowering publishing platforms available. The Joomla Project is grateful for the trust which users have placed in us and hopes to make 2009 as prosperous as 2008. Check the Joomla 1.5.9 Post-Release Notes to see if there are important items and helpful hints discovered after the release. Active members of the Joomla Bug Squad during this last release cycle include: Ian MacLennan and Mark Dexter co-coordinators; Airton Torres, Arno Zijlstra, Akarawuth Tamrareang, Alan Langford, Anthony Ferrara, Amy Stephen, Andrew Eddie, Eduardo Diaz, Elin Waring, Ercan Ozkaya, Gergo Erdosi, Hannes Papenberg, Kevin Devine, Marijke Stuivenberg, Mickael Maison, Robin Muilwijk, Samuel Moffatt, Shantanu Bala, Tibor Toth, and Wilco Jansen. A warm welcome to the newest members of the Joomla Bug Squad: Joe Sonne, Klas Berlič, and Mithun Kumar.